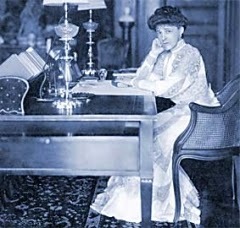 Edith Wharton at her desk. On a recent trip to Memphis, Tennessee, my husband took me to a used book store called Burke’s Books. We have done this on many trips, and it is one of our traditions for which I am most grateful. We spend a good amount of time in these establishments; he never rushes me or questions my purchasing habits, another one of his many strong suits. While in the stacks, I browse and sit in waiting chairs, picking up and putting down many books. Mostly, I wait for a certain feeling to come over me, a tingling, or an inkling that will lead me in a direction I need to go. It was in a used book shop in Coeur d’ Alene that I found a sentence in a history book that led to me spending a decade creating My American Eden. My husband found two of the most significant details of the story in second-hand shops- one in our town and another in Westchester County, Pennsylvania. When we left the shop in Memphis, he joked that he had in his hand a book that may well be the key. I laughed because I often have the same feeling. On the plane home, I cracked open my treasure: Edith Wharton’s Summer. The book jacket revealed that this work was considered by many to be her finest. The trip home flew by in a jiffy as I devoured Wharton’s beautiful work. “The lake at last- a sheet of shining metal brooded over by drooping trees. Charity and Harney had secured a boat and, getting away from the wharves and the refreshment-booths, they drifted idly along, hugging the shadow of the shore. Where the sun struck the water its shafts flamed back blindingly at the heat-veiled sky; and the least shade was black by contrast. 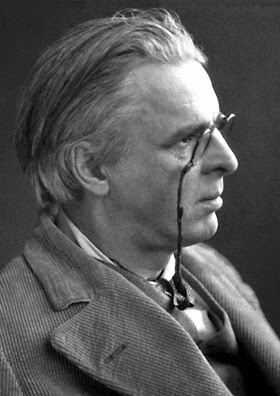 The Lake was so smooth that the reflection of the trees on its edge seemed enamelled on a solid surface; but gradually, as the sun declined, the water grew transparent and Charity, leaning over, plunged her fascinated gaze into the depths so clear that she saw the inverted tree-tops interwoven with green growths on the bottom. When asked which books made her the most proud, Edith Wharton named Summer as one of them. 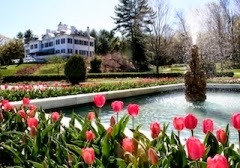 In reading more about her life, I happened to learn about her home, a beautiful estate in the Berkshires, known as The Mount. As she penned a book about houses and gardens, she was able to oversee every detail of this exquisite treasure. Born of wealth and privilege into an old moneyed family, instead of whiling away her life in gorgeous drawing rooms and delicate gardens, she picked up a pen and gave us a body of work, worth picking up time and time again. Now I am obsessed with going to see her lovely home and have added one more adventure to my wish list. 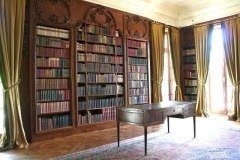 Her library is depicted below. If you are the proprietor of a second-hand book shop, thank you. If you can spend an afternoon in a dusty shop, consider yourself lucky. You never know when you might find the key. It may lead to a decade of further study. This entry was posted in fiction on October 9, 2014 by Elizabeth Smythe Brinton. This entry was posted in Uncategorized on October 8, 2014 by Elizabeth Smythe Brinton.